Rightly named after the floor on which it’s located, 24TH St. is a bustling eatery offering a street-inspired culinary experience featuring four exciting specialty kiosks under one roof at the iconic Dusit Thani Dubai. 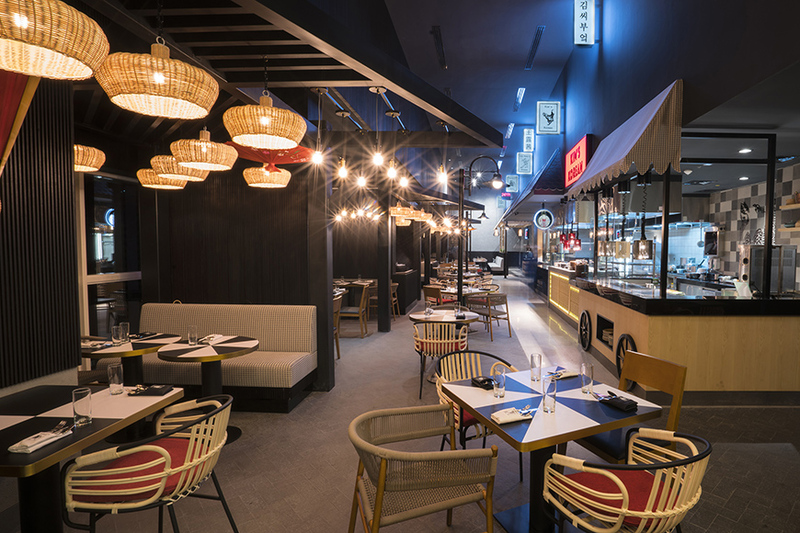 Inspired by a traditional Asian hawker centre, 24TH St. is bursting with Korean, Chinese, Japanese and Indian street-food culture, as diners will embark in a culinary discovery of the delicious Asian tastes alongside the renowned gracious hospitality of Dusit Thani. In true Dubai fashion, 24TH St. makes its mark as the first AND only Asian eatery offering these four distinctive cuisines in a street-style setting, amplified with a bustling atmosphere, contemporary eclectic décor and stunning views of Sheikh Zayed Road, DIFC and Burj Khalifa. Guests can make their journey through a myriad of bold flavours and spices, served from the dynamic kitchens of Kim’s Korean, Lucy Wong’s, Momo San and Chatakana. Groups of family, friends and colleagues with varied taste preferences can easily feast together with the diverse food options that the 24TH St. caters. There truly is something for everyone –as each kiosk expresses its own individual character, taking design influences from the country of its origins. Dusit Thani’s 24th floor is also home to Another Bar and the Market Square which showcases a patisserie and a lively juice bar.